Is Down Payment Assistance Available? Typically a minimum of 20% downpayment is required for most home purchases. But, what is a potential buyer to do when cash is simply not available to them? Luckily, across the United States, the emergence of a number of key Down Payment Assistance Programs have made the dream of home buying more likely than ever. Down Payment Assistance Programs can be administered by a local or state housing authority, a nonprofit organization, or directly through a lender. Down Payment Assistance Programs are available in one of three forms – a grant, an interest-free loan, or a debt you pay off in the future. Every state has slightly different rules on who qualifies for Down Payment Assistance but two factors that are considered include your income and the amount of home your are purchasing. Earning limits – for example, can vary from 80% of the area median income in one state but can be as high as 120% in another. Similarly, other states may only make this type of assistance to first time home buyers only. How much of a down payment can I get? The amount of funding available varies from state to state and the rules on how each state awards the assistance also varies. That is to say, that for some states, the amount awarded for assistance can be based on the home’s sales price or simply on a flat amount that is capped. Does my credit matter when looking for Down Payment Assistance? Are Stated Income Mortgages Still “A Thing”? Heritage Mortgage Banking Corp NMLS #1205 Licensed Lender State of New Jersey Department of Banking and Insurance, Registered Mortgage Broker, DBA HMBC Superintendent of Banks of the State of New York, Mortgage Lender Commissioner of Financial Regulation State of Maryland, Mortgage Lender and Broker Virginia State Corporation Commission as MC-3873, Correspondent Lender/Broker State of Connecticut Department of Banking, New Jersey Licensed Mortgage Banker. New Jersey Department of Banking and Insurance. New York Licensed Mortgage Broker. Superintendent of Banks. 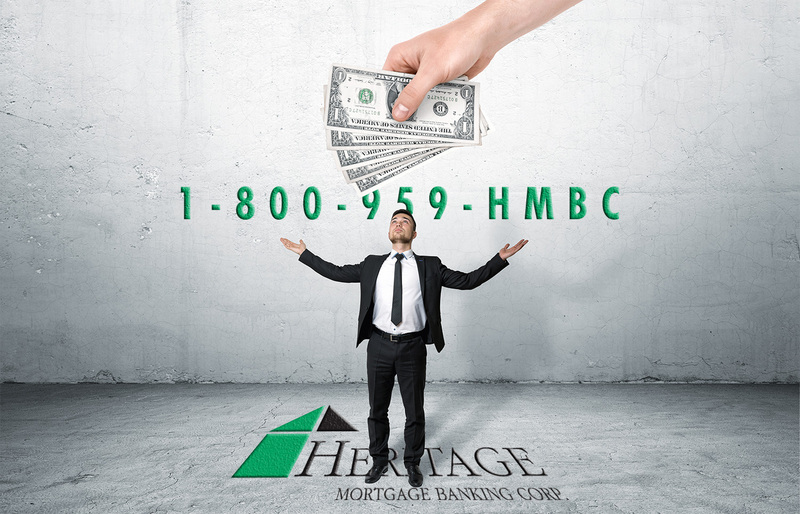 Heritage Mortgage Banking Corp., Connecticut Correspondent Mortgage Lender, Connecticut Department of Banking. Maryland Correspondent Mortgage Lender, Maryland Department of Banking. Commonwealth of Virginia, Licensed Mortgage Lender. As a mortgage broker we cannot make any loan commitment or fund any mortgage loans. As a mortgage broker we arrange loans with third party providers. Feel free to verify Heritage Mortgage Banking Corp NMLS #1205 with NMLS - nmlconsumeraccess.org.